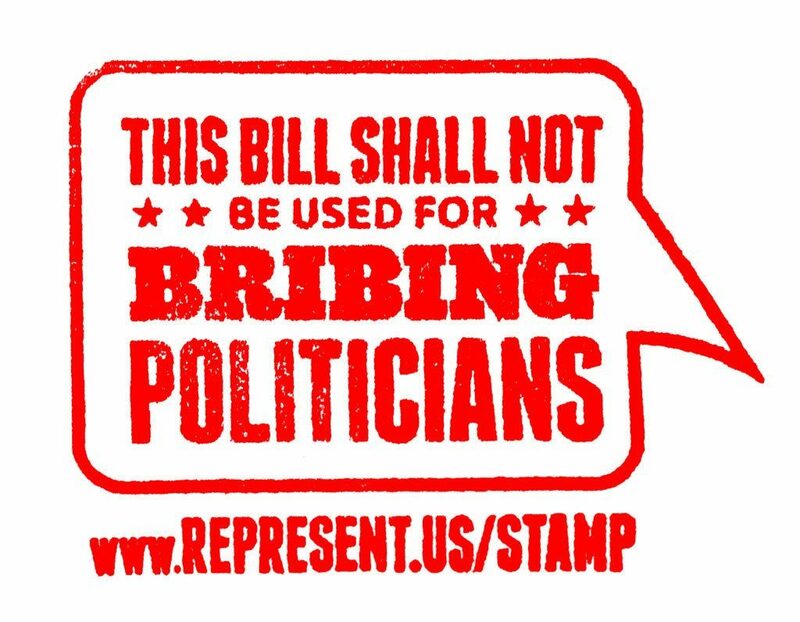 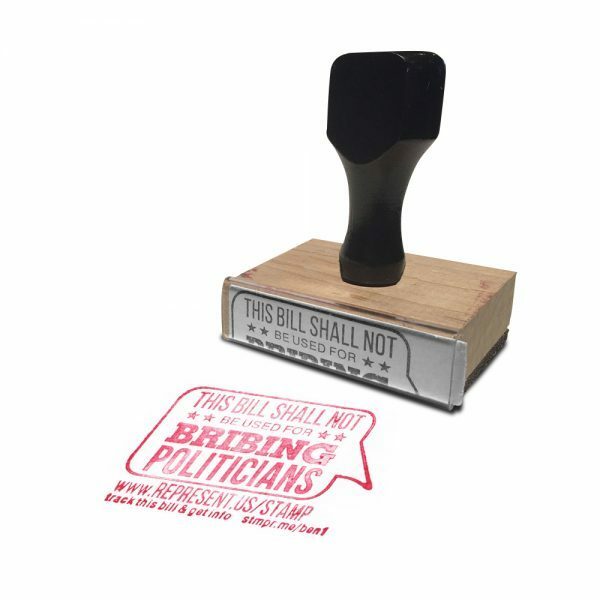 This exclusive and unique stamp was designed by our friends over at Represent.Us. 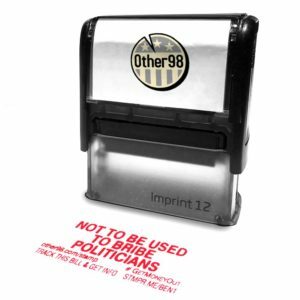 It’s a traditional rubber stamp, which requires a separate ink pad. 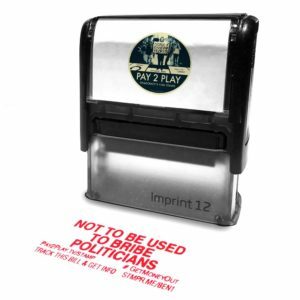 Order the ink pad on our site. 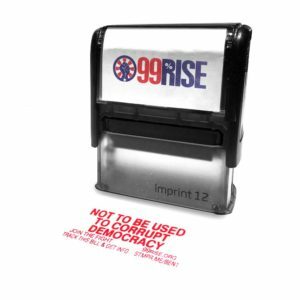 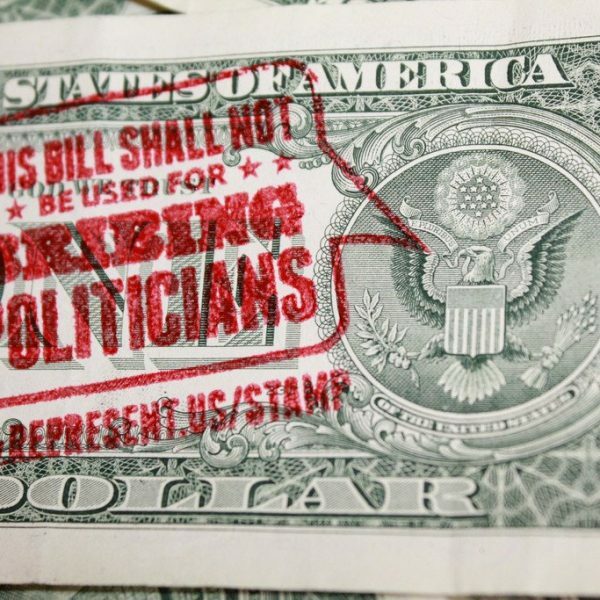 It’s the best one for stamping on money–and we sell them at cost!